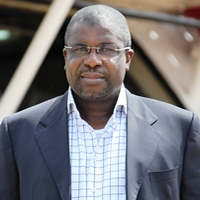 Sir Emeka Offor, Chairman of the Chrome Group, has extensive domestic and international business experience in numerous sectors of the economy. A dynamic and hard-charging entrepreneur, he exhibits the strength of character, vision and dedication required to be successful in an often challenging and demanding environment. Make sure you don't miss exciting activities by subscribing to our newsletter. We're on Social Networks. Follow us & get the latest updates on all our activities including latest news & events.